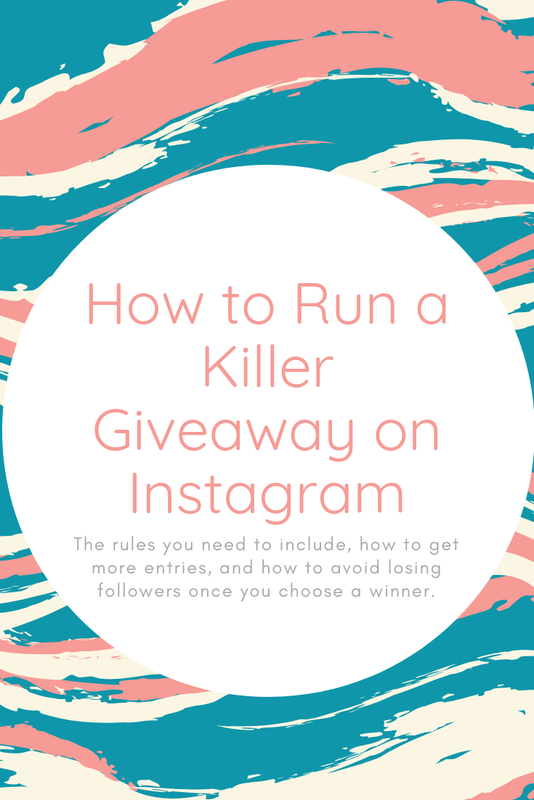 How do you run an Instagram giveaway and make it a huge success? How do you announce the winner without losing followers who were only there for the giveaway? How do you get more than just your best friend to enter? These steps are going to be your best friend when it comes to running a killer giveaway on Instagram. 1. Pick the product/service you want to give away. What are you wanting to gift? I recommend sticking with a product. Giving away services typically means a lot more of a financial loss, as well as a lot more annoyance and work. 2. Choose your giveaway tribe, or go solo! I rarely recommend group/loop giveaways. However, those are a great way to gain more followers. If you go with a group, ensure every single participant's Instagram followers are in your target niche. If you sell to middle-class moms, don't join a loop with a teen makeup artist, web designer from Thailand, and wedding planner from a small town in Ohio. If you go solo, that's perfectly fine! Just plan to do some extra engagement during the giveaway to increase profile views and (hopefully) entries. 3. Plan out the captions, rules, and hashtags. Caption: Make it immediately obvious it's a giveaway. I like to start off the caption with something like, "GIVEAWAY! ", "Wanna win a free XYZ?!" , etc. 3. Tag a friend in the comment. Each additional tag counts as an extra entry. One tag per comment. Your caption or first comment should clarify what is rewarded, any geographical limitations, when the giveaway will end, when the winner will be announced, specification that inactive/duplicate tags will not be counted, and a statement explaining that Instagram is not endorsing or sponsoring your giveaway. Don't require too much. Very few people will want to post on their stories, their feed, tag 10 friends, follow you and 5 other people, and go like your Facebook page. Hashtags: Who are you trying to reach? If you only want to gain local followers, avoid #giveaway or #freestuff, and stick with local hashtags like #fortworthtx, #dfwtexas, etc. If you're wanting followers from all over, you can broaden your scope a little bit and aim to reach the niche. For instance, I would use #creativesofinstagram to reach creatives rather than people just wanting free stuff. I may get less entries, but they'll be a lot more meaninful and likely to convert. If you required tags, simply access your Instagram post from a desktop computer. Copy and paste all of the comments into an Excel document and go to table tools --> remove duplicates. If you allowed additional entries such as tags or reposts, you will need to enter those individually. Copy and paste all entries into a randomizer, such as random.org. It may select one of your replies, a bot comment, or something other than an entry. Continue randomizing until a winner is selected. Ensure the user followed you, liked your image, didn't break any rules or skip any steps, and didn't tag an inactive account to enter. If anything was violated, simply draw another winner. When announcing the winner, DO NOT POST TO ANNOUNCE ON INSTAGRAM OR INSTAGRAM STORIES. Unfortunately, giveaway entrants are famous for unfollowing you. Instead of reminding them they lost and to unfollow you, simply tag the winner(s) in the comments of the post so no one else is notified! Would you like to download this blog post as a PDF? Click here to grab a free download.